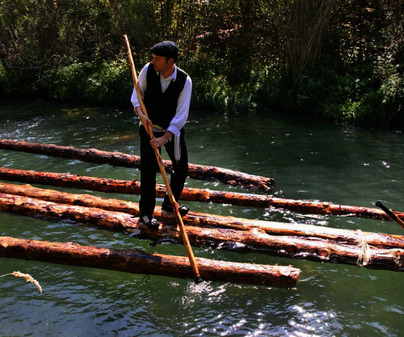 During five centuries thegancheros(hook-men) drove the sawed logs from the Tagus and Guadiela Rivers to Aranjuez, Toledo and Talavera de la Reina. 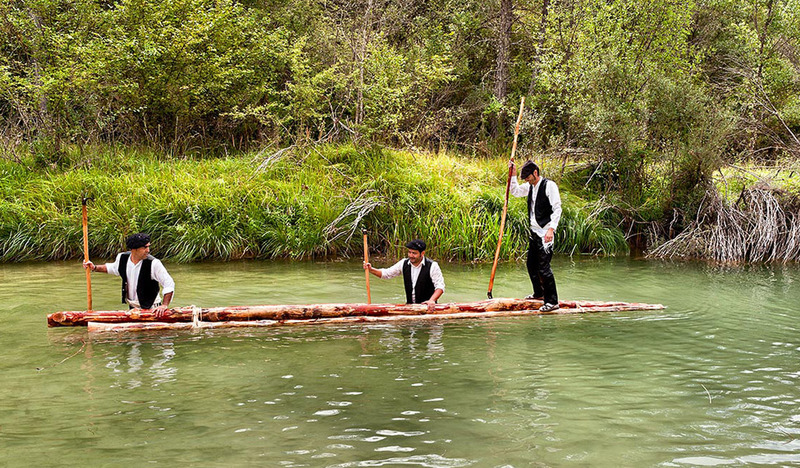 During this festivity we can see them again over the waters, with their traditional tool, the boat-hook, and period clothing, grouping and driving the sets of logs. 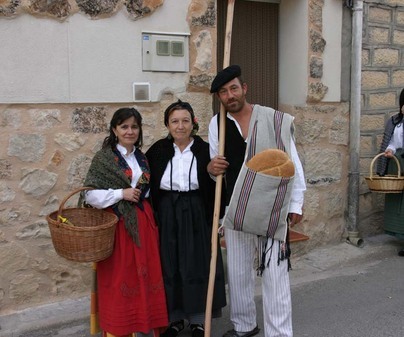 As well as a spectacular trade re-enactment, it shows the rural lifestyle in Serranía de Guadalajara mountain range. 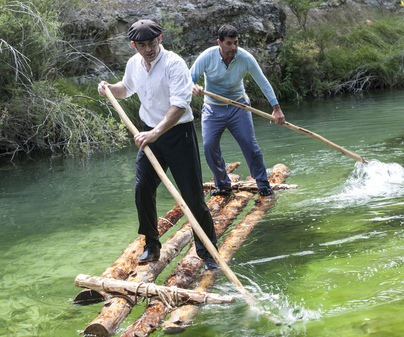 The festivity is accompanied by culinary samples, log sawing, traditional games, and dulzaina music. Movable date. On the first Saturday in September. 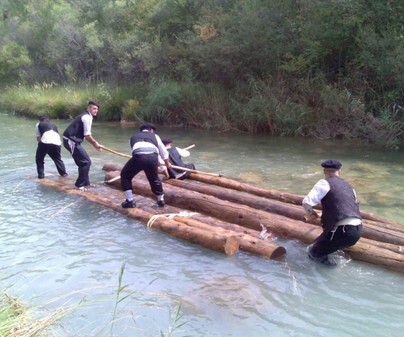 It is held in a rotating way at five municipalities: Poveda de la Sierra, Peñalén, Zaorejas, Taravilla and Peralejos de las Truchas. To know annually the exact place, please check the calendar at this web. The hook-man trade can be known in depth reading the novel by José Luis Sanpedro "El río que nos lleva" (the river that leads us), adapted for the cinema by Antonio del Real, under the same title.